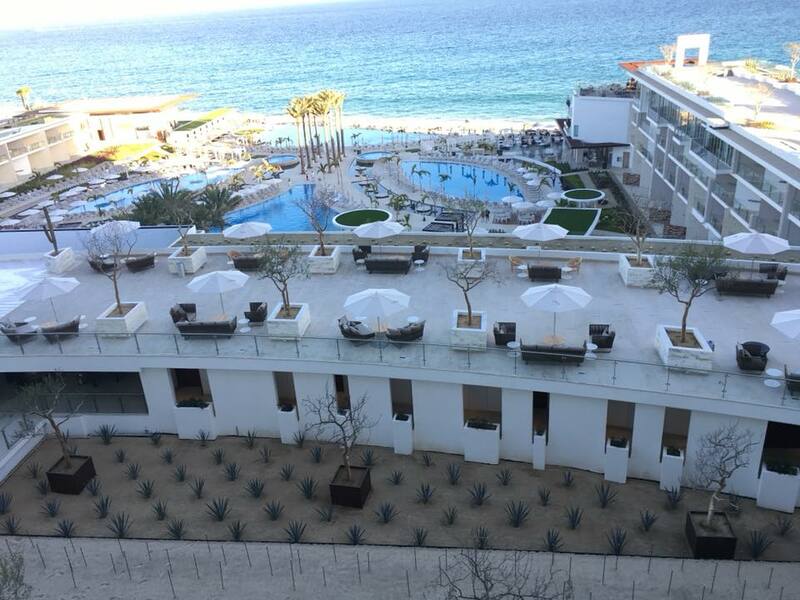 Last year we celebrated the grand opening of Le Blanc Spa Resort Los Cabos. This is the newest Palace Resorts hotel and it is absolutely gorgeous! With breathtaking views and stunning decor throughout the property, it is hard to beat this one. If you are a Bravo TV fan, you may recognize this resort as the setting from a couple of recent episodes of The Real Housewives of New Jersey. It’s no surprise that the high maintenance women of this show felt right at home in this desert paradise. 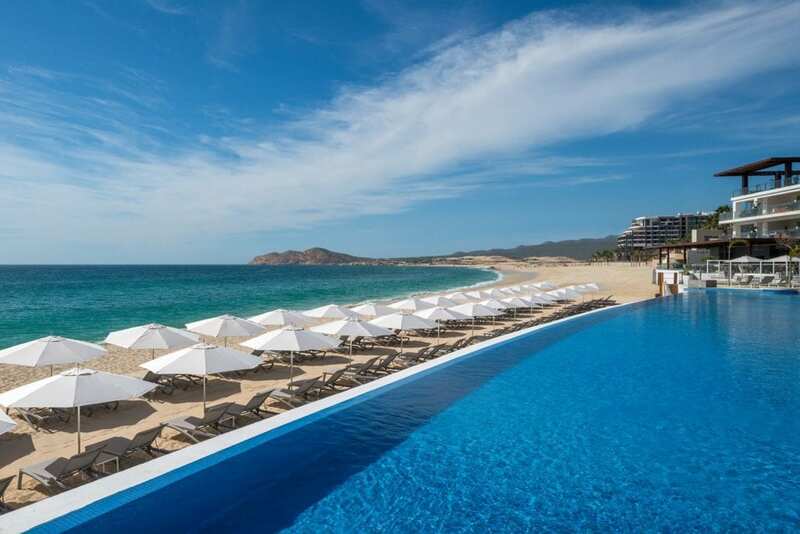 Let’s take a look at some of the aspects of Le Blanc Spa Resort Los Cabos that make it one of our Enchanted Travel Agent Favorites. Right when you step foot on Le Blanc Spa Resort Los Cabos, you’ll feel like royalty. I know I did when I stayed here in March 2018 when it was newly open! If you’ve had the chance to stay at the Le Blanc property in Cancun, it is similar to the feel of this resort. However, it is different in a few ways. For one, it is much bigger. While the original Le Blanc Spa Resort in Cancun has 260 rooms, it’s sister property in Los Cabos has 373. You will also notice that it feels much more spread out than the property in Cancun. In addition, there is more of a desert feel to Le Blanc Spa Resort Los Cabos, as an ode to it’s desert paradise surroundings. It still has that classic, clean, white-on-white decor throughout, but you’ll also find more sand elements, plus cacti mixed in with the gorgeous palm trees! My stay here in 2018 followed directly after a family trip where we stayed at the Grand at Moon Palace in Cancun. Moon Palace is also from the Palace Resorts brand and The Grand is this mega-resort’s newest addition. 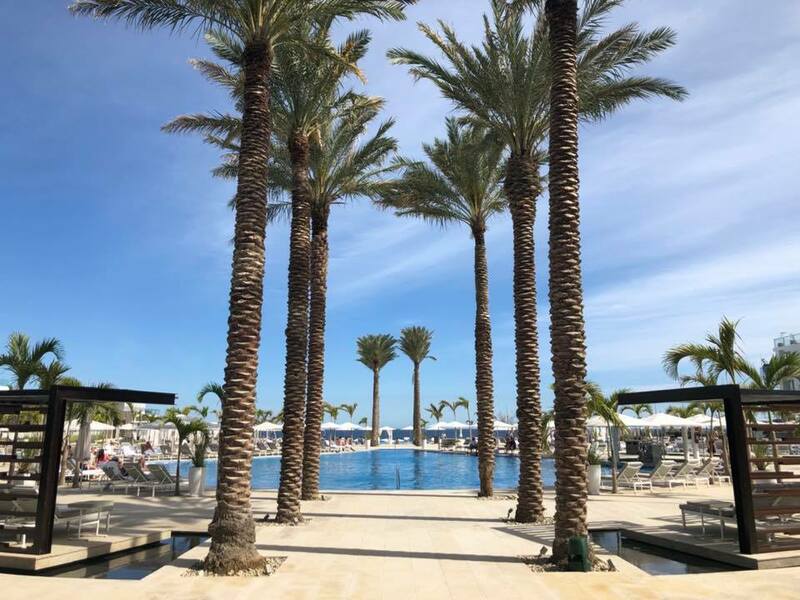 I was already blown away by the delicious food in this new section of the Moon Palace property, but the gourmet cuisine at Le Blanc Spa Resort Los Cabos completely exceeded my expectations. One thing that must be noted is the freshness of the cuisine! From the buffet, to the restaurants, and even the room service menu, everything I ordered was delicious and fresh. I loved that I could order snacks directly to my lounge chair at the pool or beach, including the entire menu from the pizza restaurant and from the seafood restaurant, Le Blanc Ocean. In the morning, opt for the eggs benedict at the beach-side cafe and order the tuna ceviche poolside for an afternoon snack. I could have included this in the section above on the grounds and decor, but the infinity pool at Le Blanc Cabo deserves its own section. Not only is the view incredible from every angle, but the staff at the pool bar is extremely accommodating. They were attentive, and even suggested a few things that I ended up ordering over and over again. For example, I loved the jalapeno margaritas and the buffalo mozzarella pizza. In addition, there were always plenty of open chairs, whether we wanted to sit under a cabana, in the sun, or in the shallow area at the edge of the pool. I would say we spent about 75% of our time here! This would not be a complete review of the property without mentioning the stunning beach. 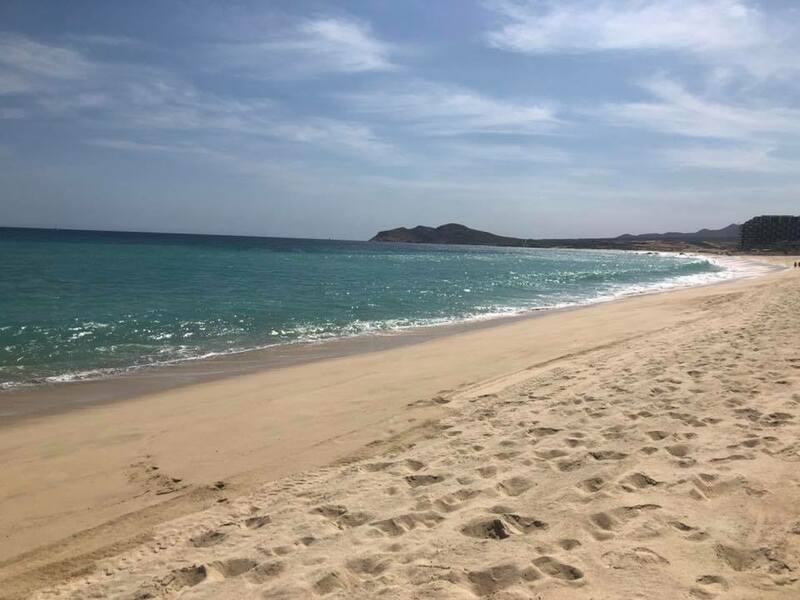 It was really everything you could ask for in a Los Cabos beach! It was long, wide, and flat, with soft sand and tons of privacy. Since the property is surrounded by boutique hotels and condos rather than mega resorts, the beach feels very private. You’ll find great service here as well and you can order drinks and menu items from select restaurants directly to the beach. 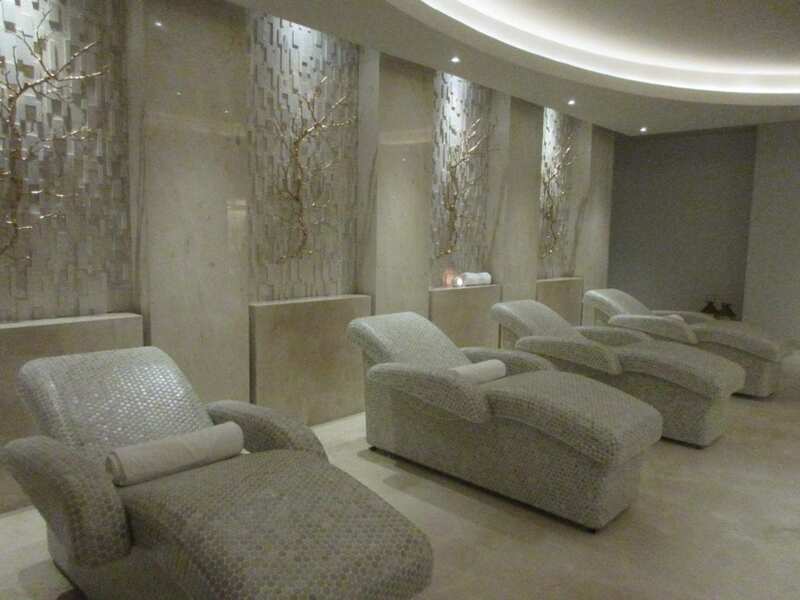 The spa at Le Blanc Los Cabos was also top notch. I had a 60-minute wellness massage and my therapist was very good. After my massage, I spent some time using the hydrotherapy options at the spa. I used the jacuzzi, the plunge pools, and the steam room and sauna. My favorite part was the hot stone lounge chairs!